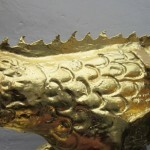 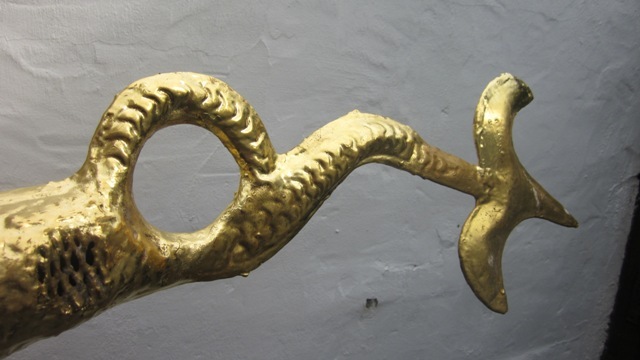 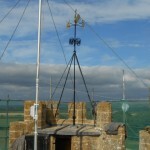 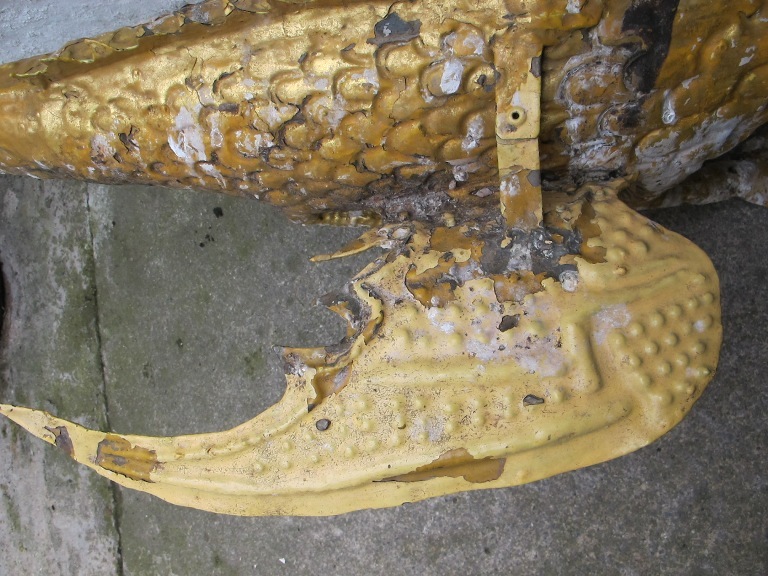 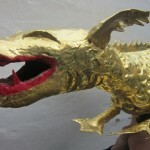 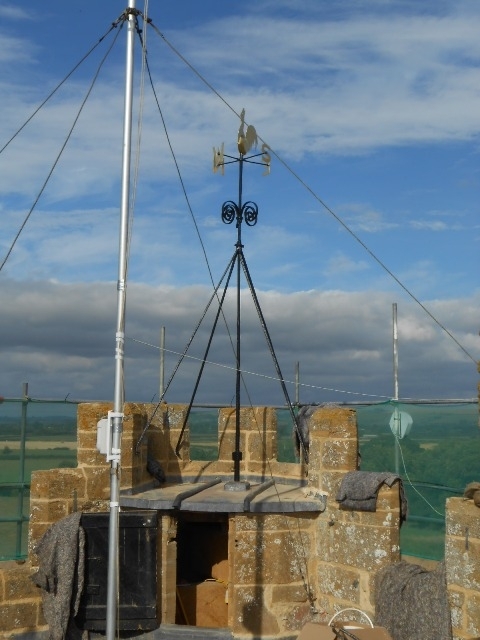 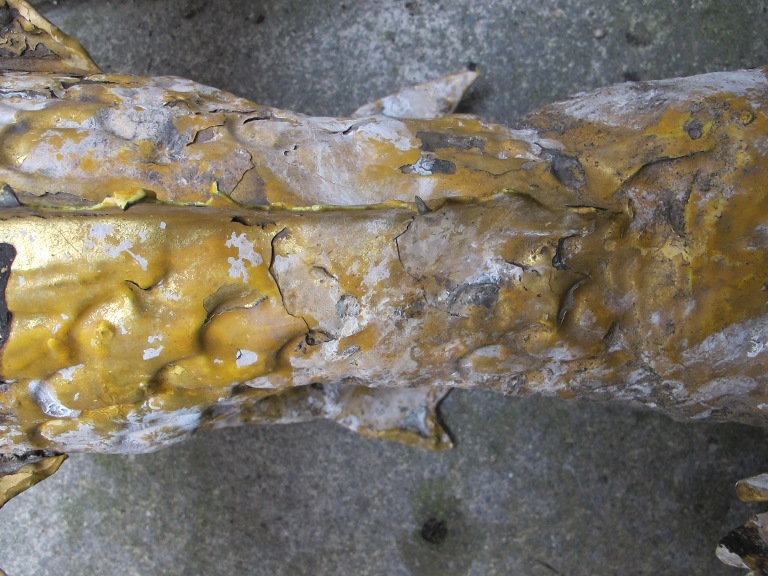 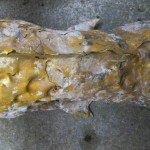 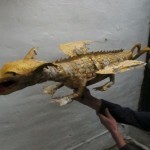 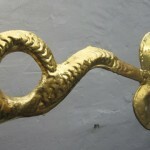 Sally Strachey Conservation have blogged about the Dragon weathervane we restored some time ago. 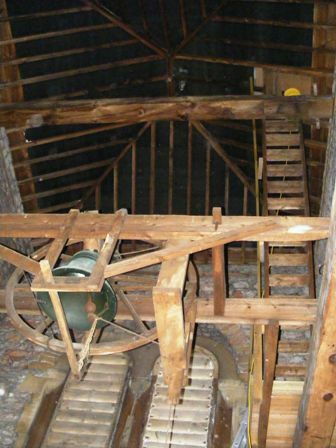 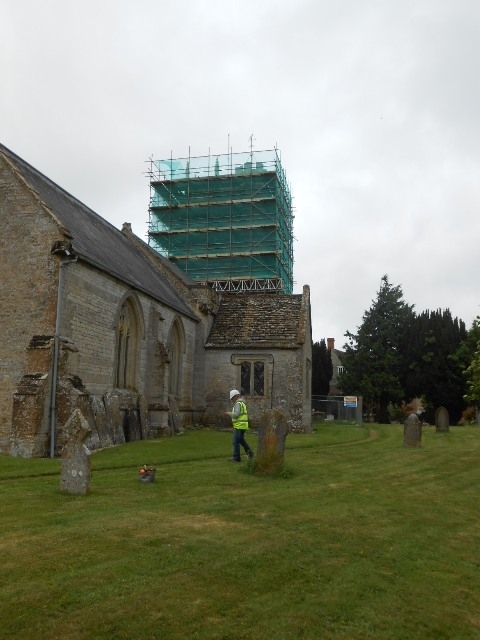 You can find the full story of Easton-in-Gordano church restoration here. 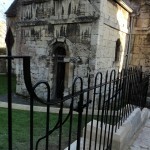 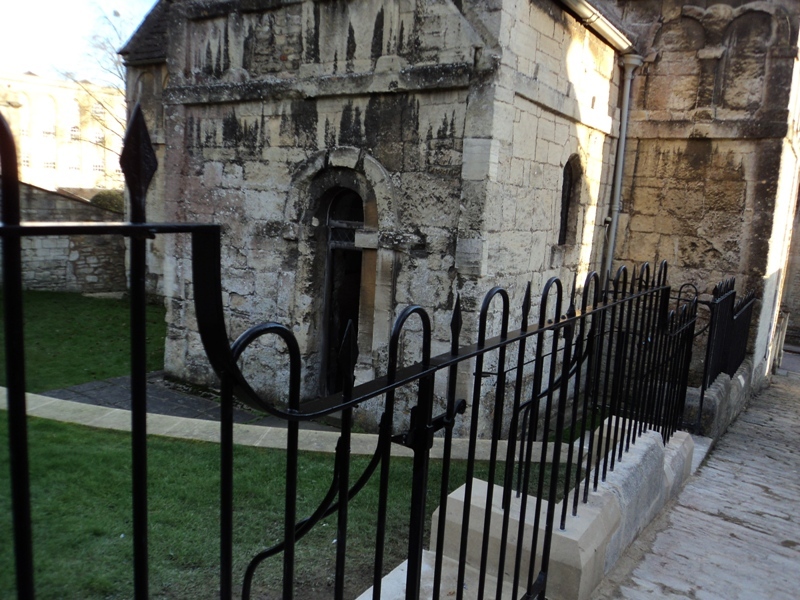 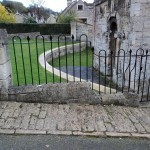 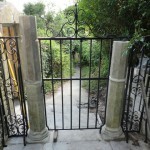 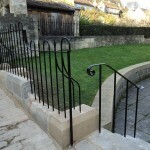 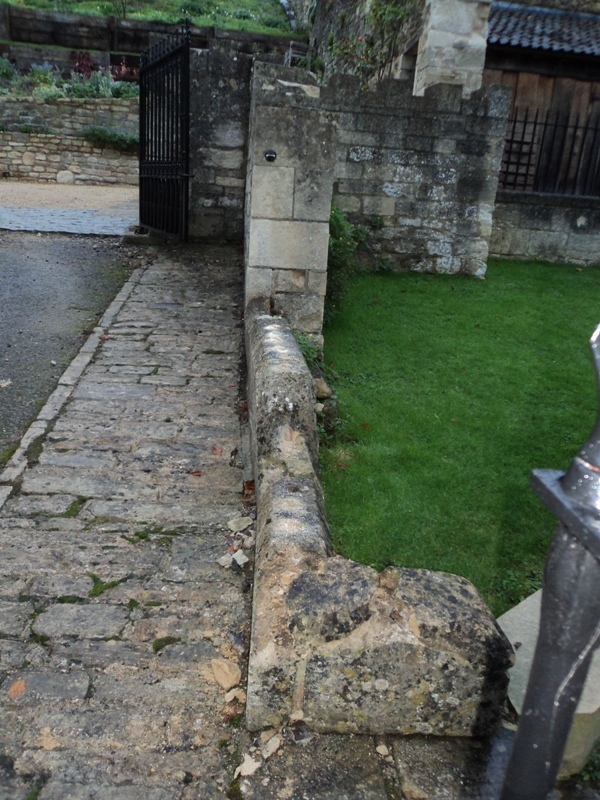 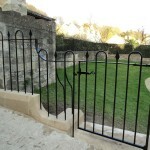 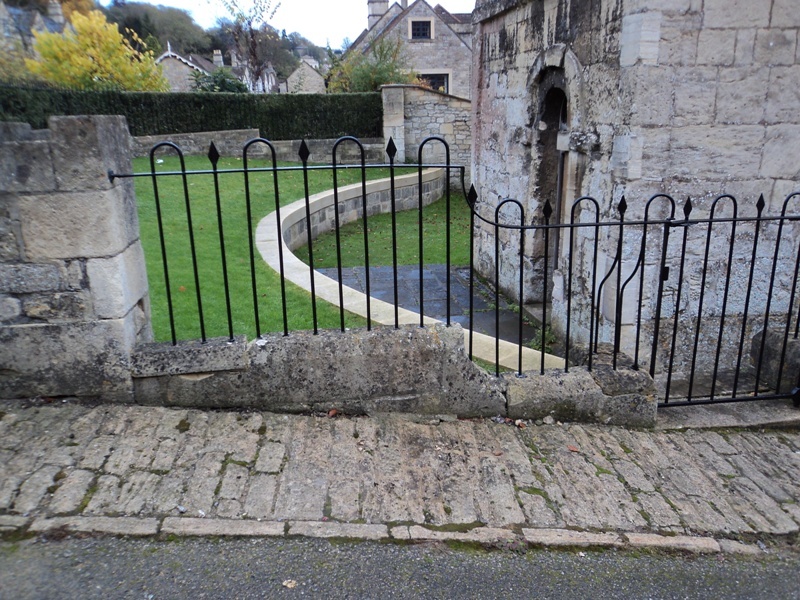 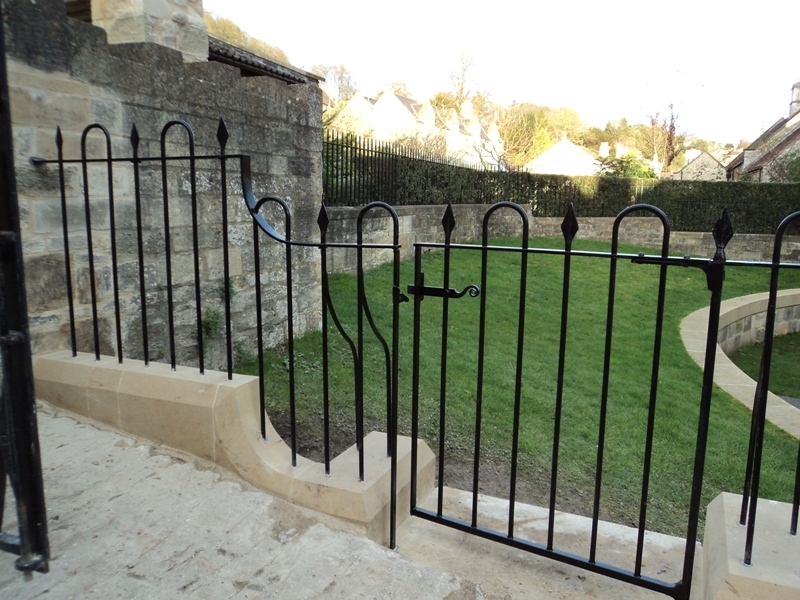 We’ve just finished restoring the gates and railings at the Saxon Church in Bradford on Avon, Wiltshire. 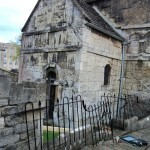 This little church is of national importance as one of the most complete Saxon buildings still in existence. 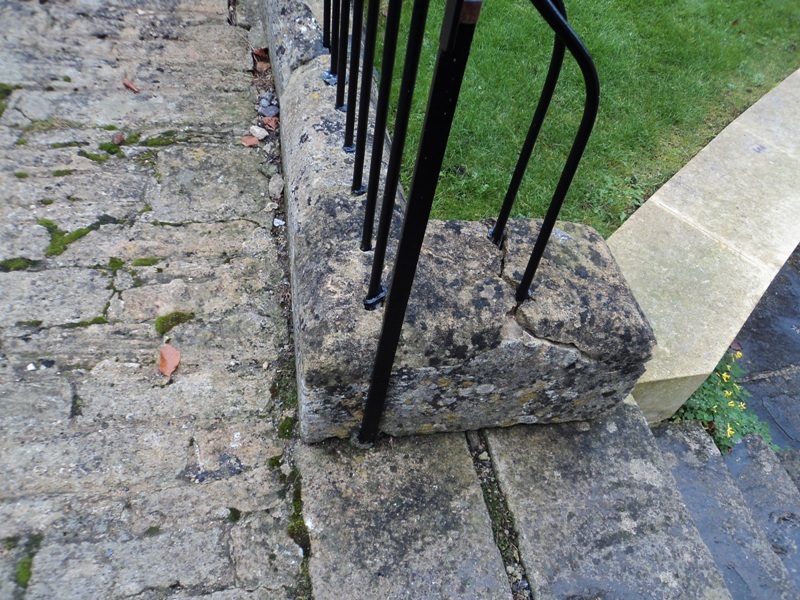 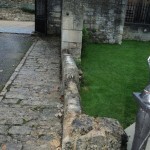 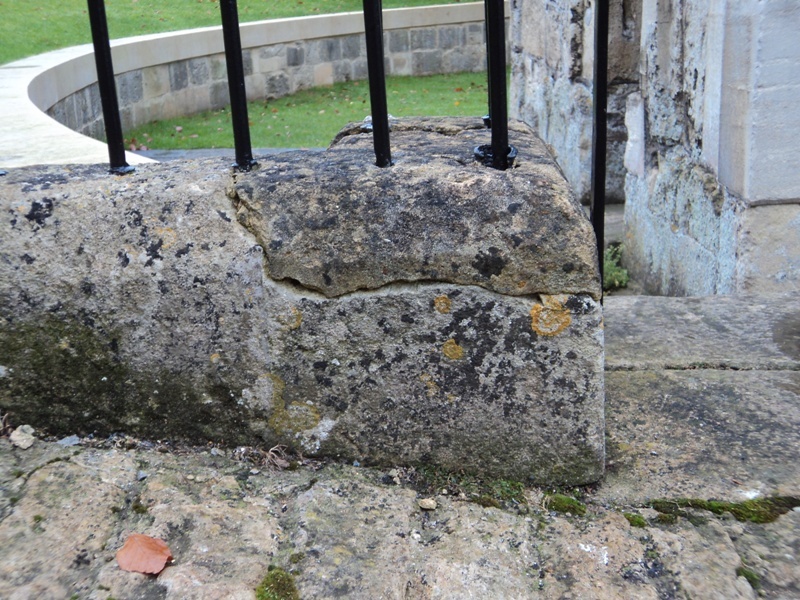 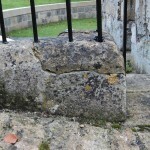 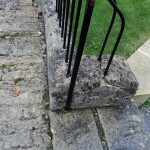 The stonework was decaying beneath the railings which had been individually leaded in. 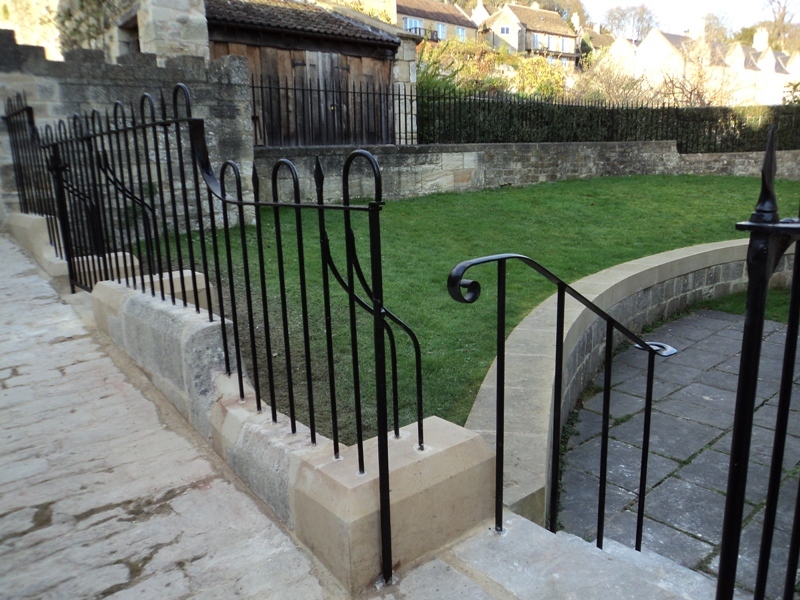 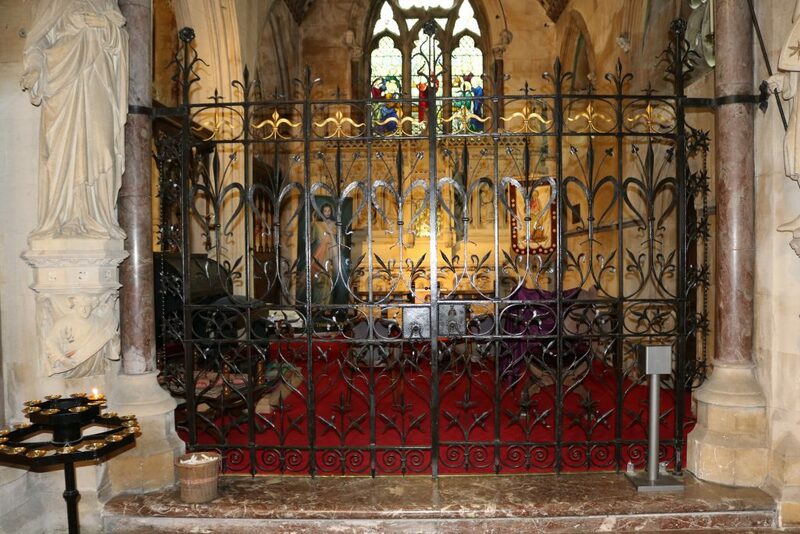 The pictures show ‘before’ and ‘after’ images of the railings in situ at the church. 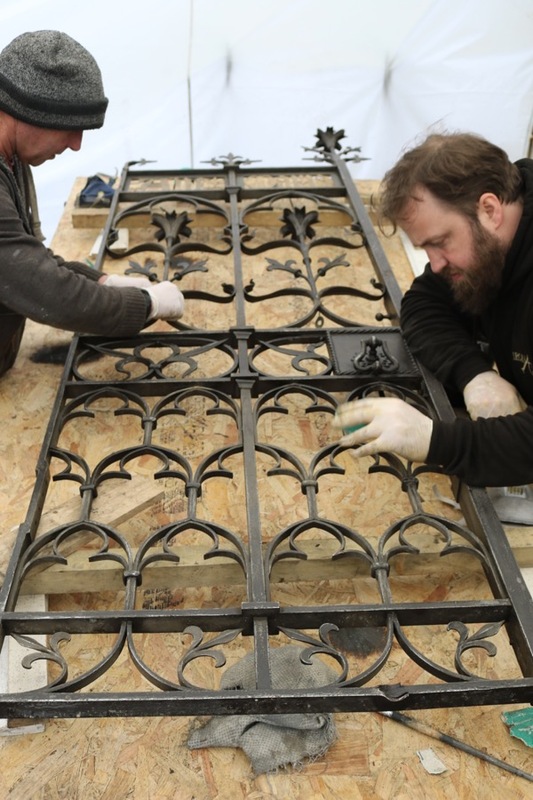 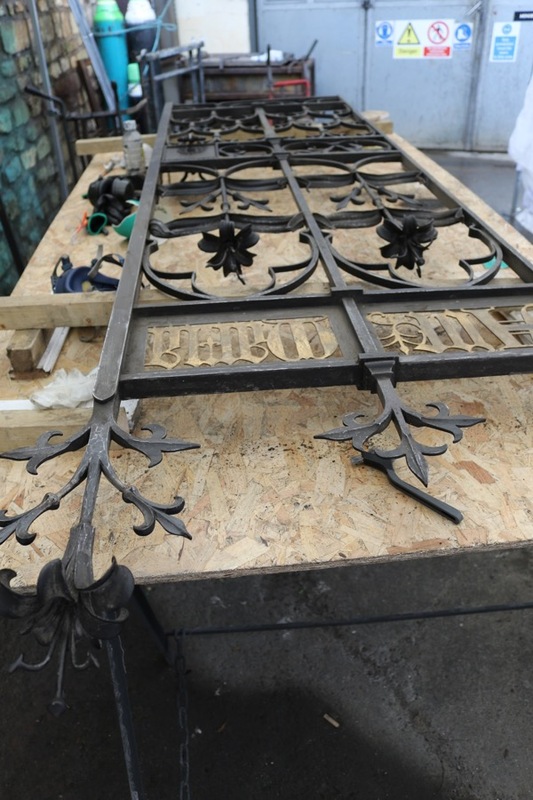 For all wrought iron ecclesiastical restoration and repairs, please pick up the phone or send us an email to discuss your project. 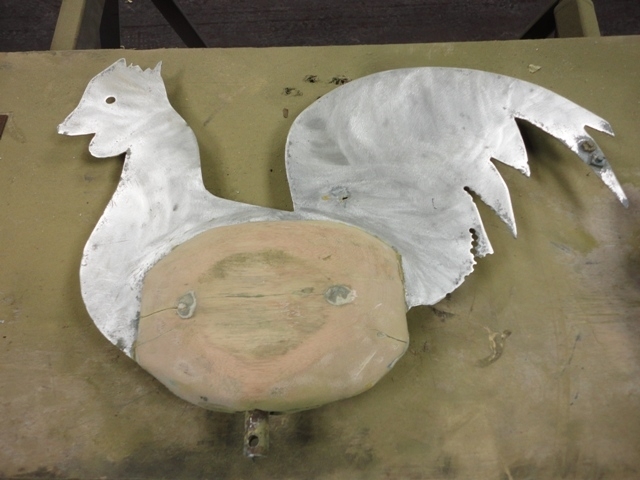 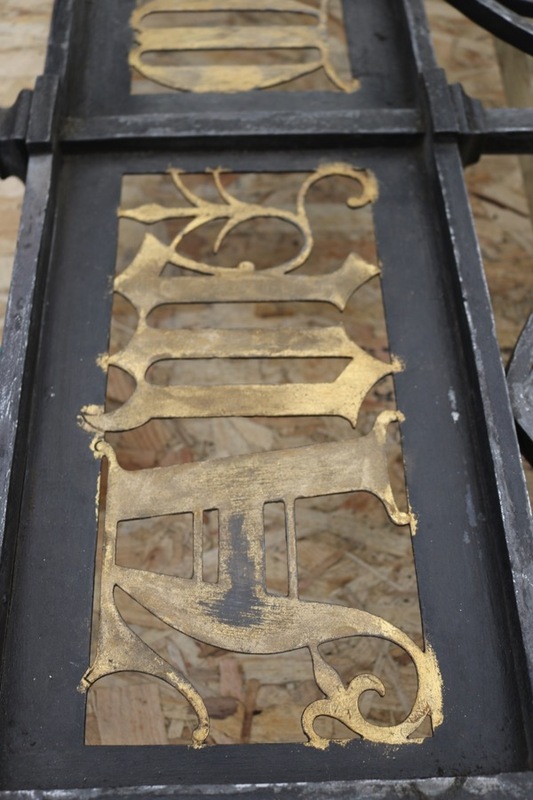 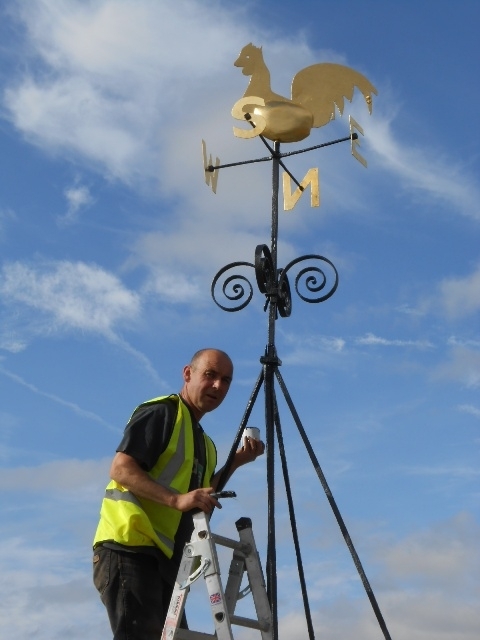 We have just finished restoring a highly unusual gilt weathervane. 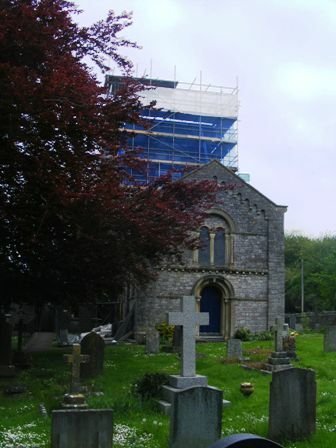 St George’s is the parish church of Easton in Gordano, in the deanery of Portishead. 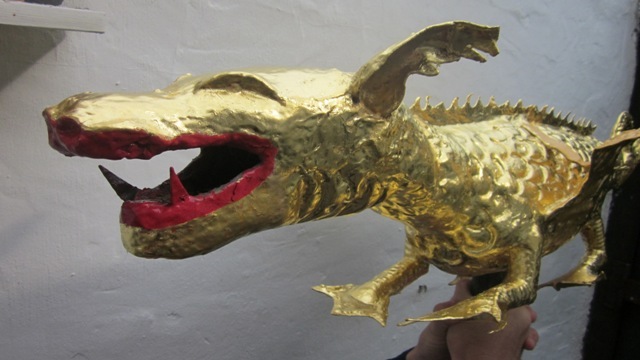 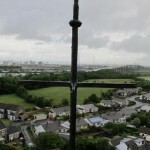 At the top of the church spire overlooking the Severn Bridge sits a majestic gilt dragon with a bright red mouth. 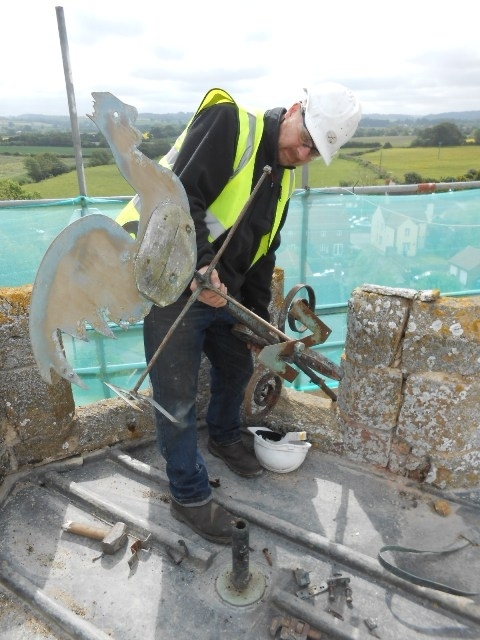 Andy and the team here at Ironart were briefed to remove, refurbish and refit the dragon weathervane, with repairs also to the spire and the supply of new ‘Cardinal points’ (that’s the North, South, East and West letters below the weathervane). 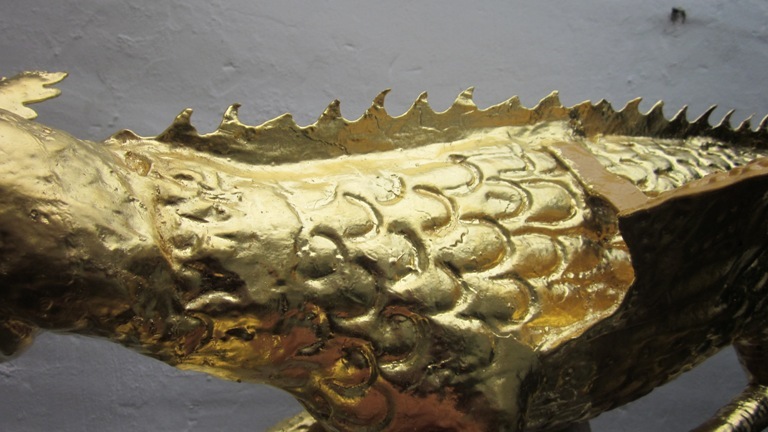 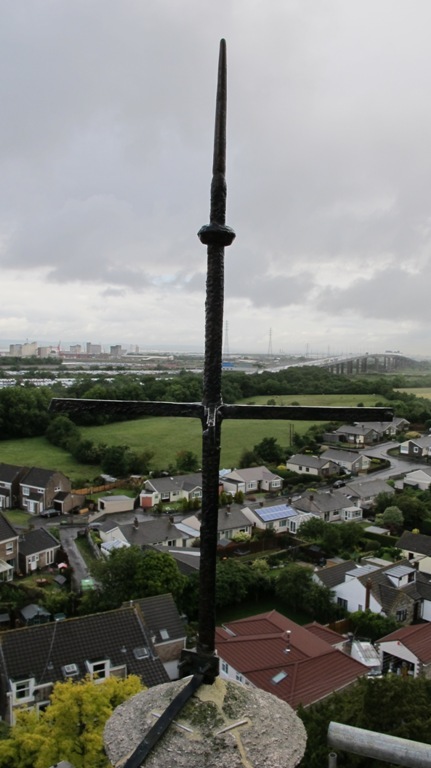 The team here at Ironart were also asked to ensure the dragon was fixed securely in place with a locking mechanism to stop him being lifted off in the strong sea winds that buffet the church spire throughout the year. 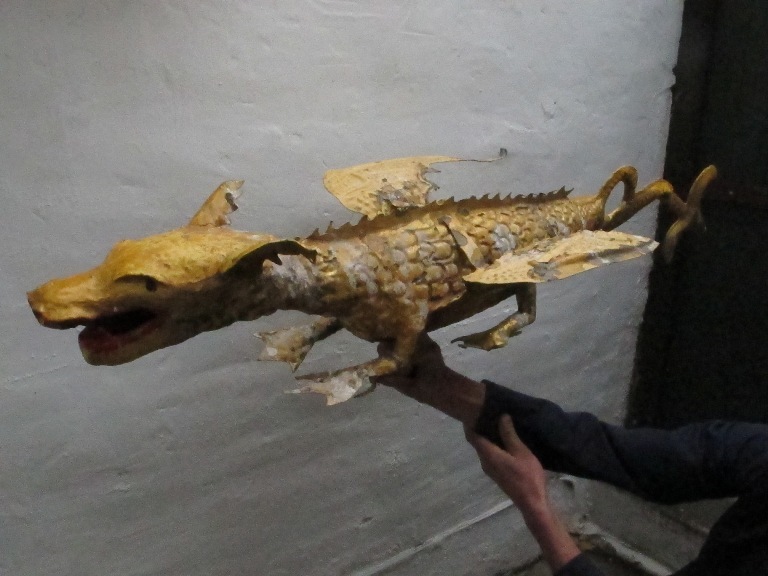 We entrusted Frome-based expert gilder Krysta Brooks with the task of restoring the characterful dragon to his former glory – and she did a truly wonderful job as the pictures attest. 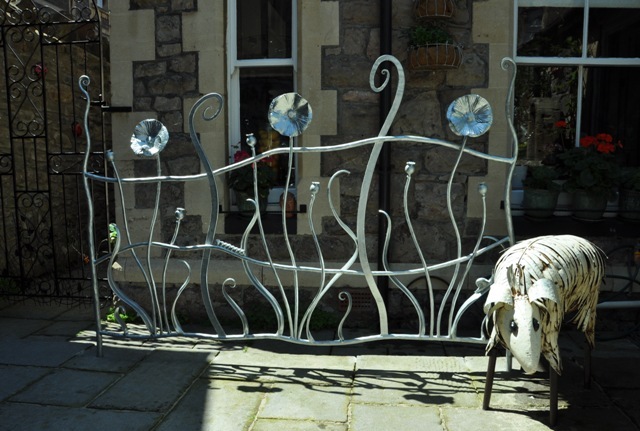 (Krysta also restores giltwood furniture, frames and antiques and can be contacted on 01373 461413). 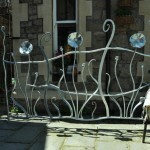 History of Ironwork: Style, makers and heritage representative organisations. 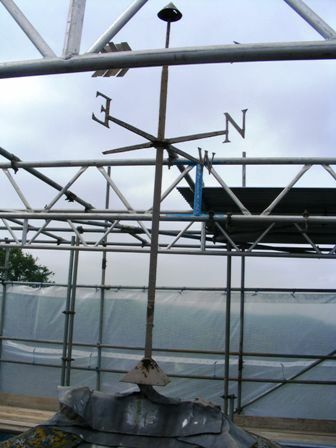 The course commenced in May 2011 and runs alongside the full time course. 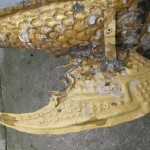 Jason will attend a series of five ‘release’ weeks throughout the year. 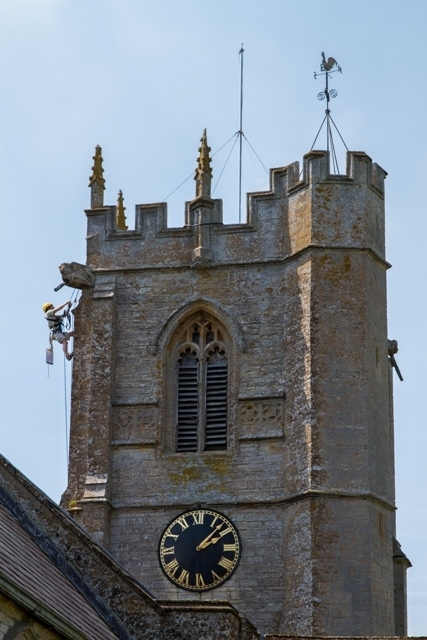 So far he has completed two weeks out of the five. 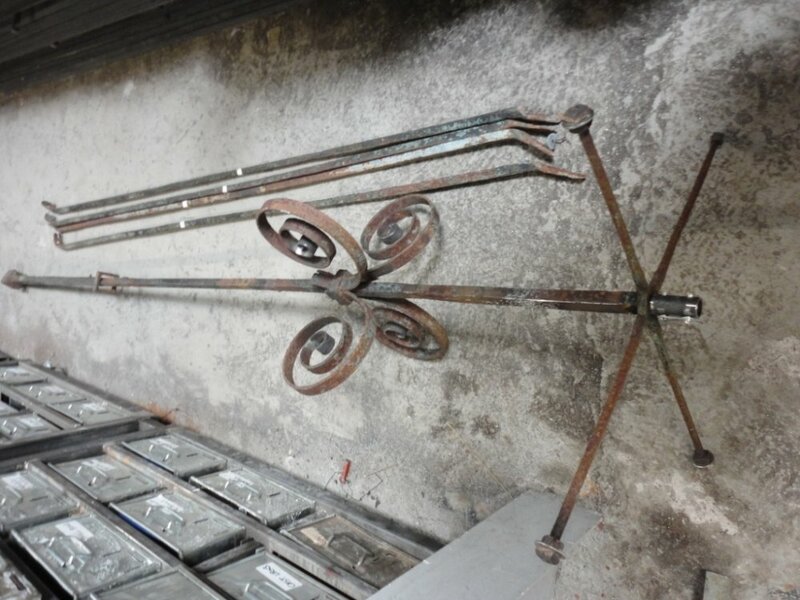 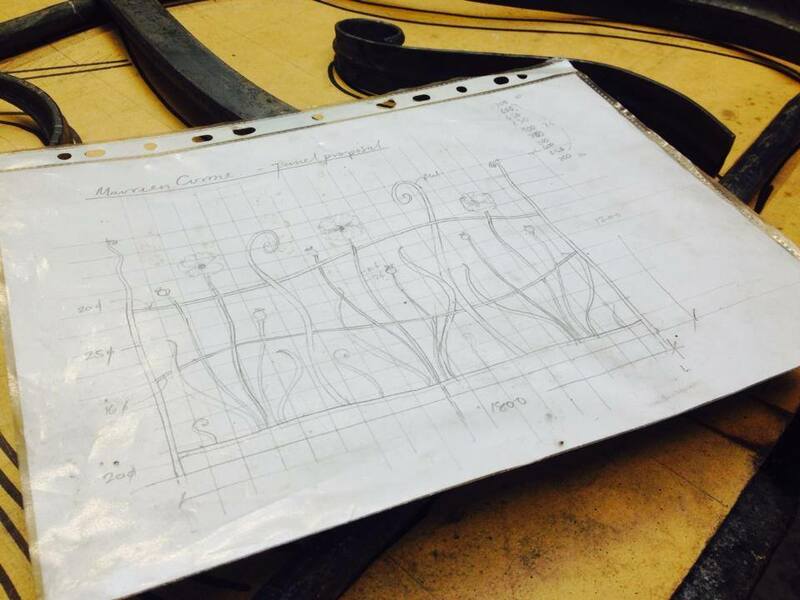 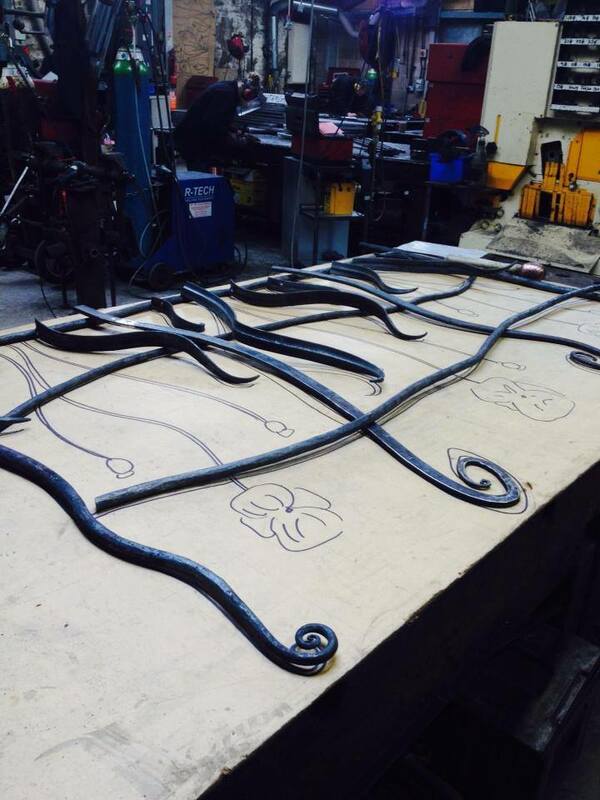 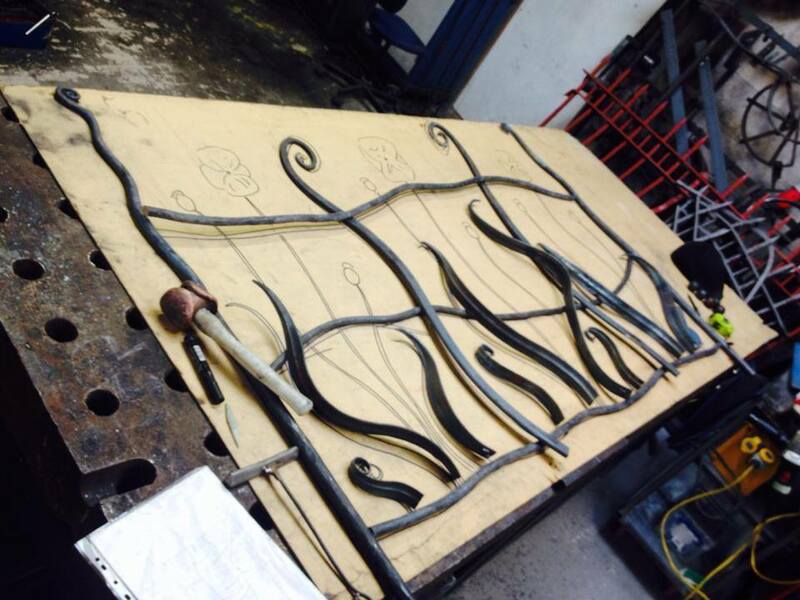 Jason’s latest assignment was to choose an historic piece of ironwork, photograph and document it, develop technical drawings to replicate the piece. 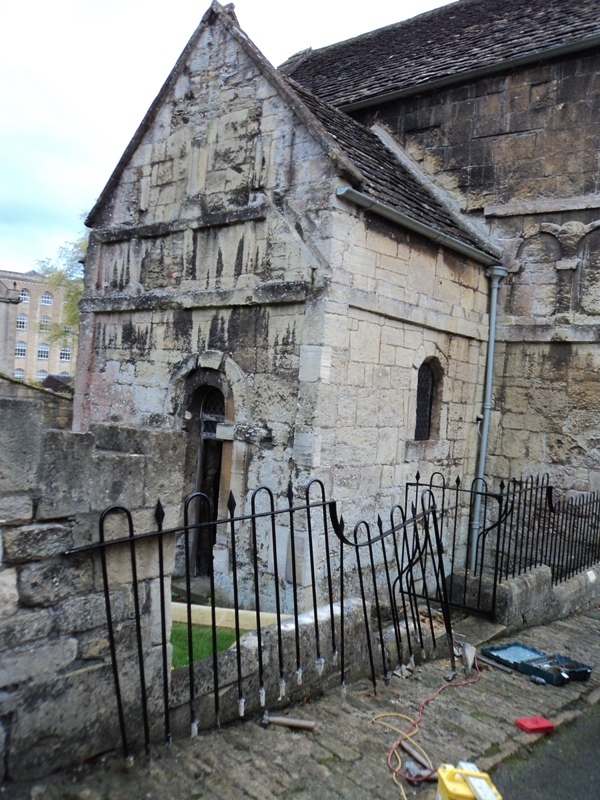 Jason chose the screen to the Lady Chapel in St Stephen’s Church in Manvers Street, Bath. 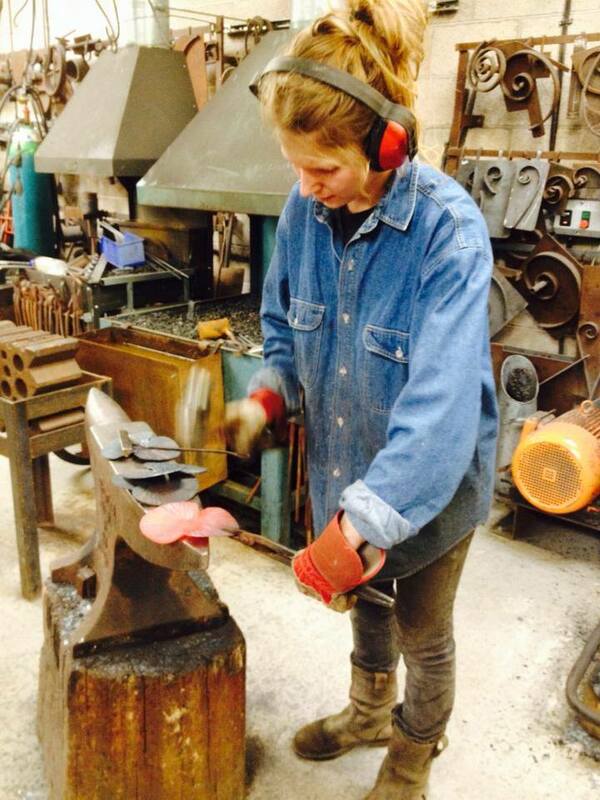 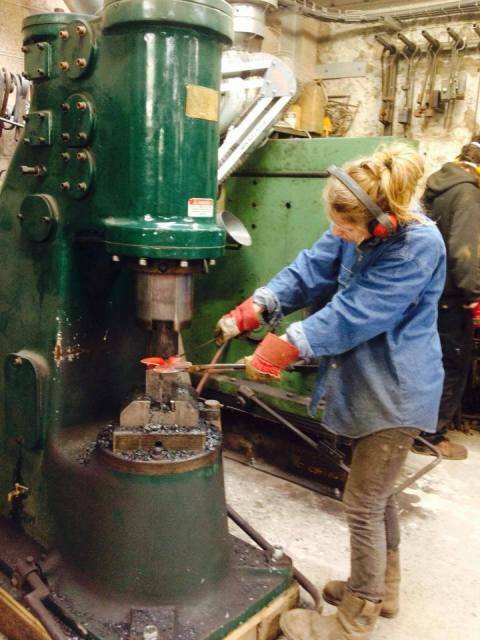 Last week saw him making tongs, hardening and tempering medium carbon steel chisels and punches, firewelding and chainmaking. 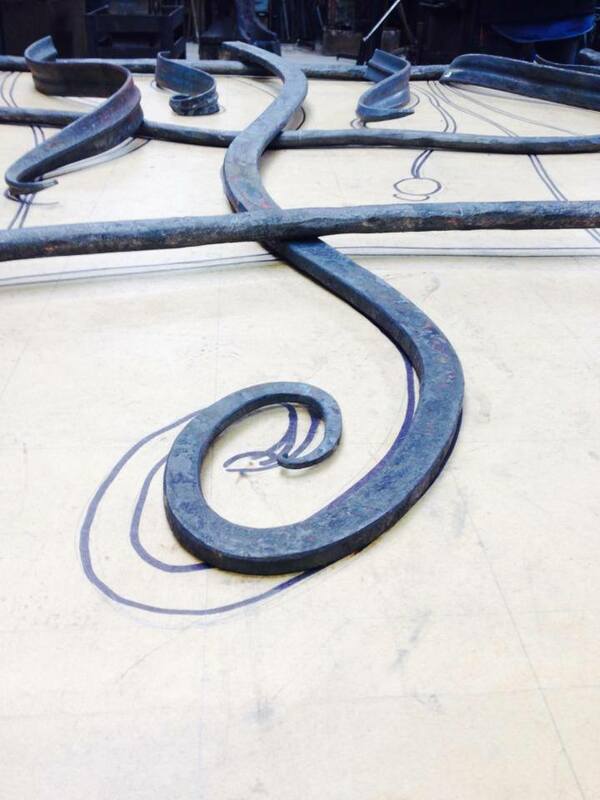 He trained for three days under Paul Allen FWCB. 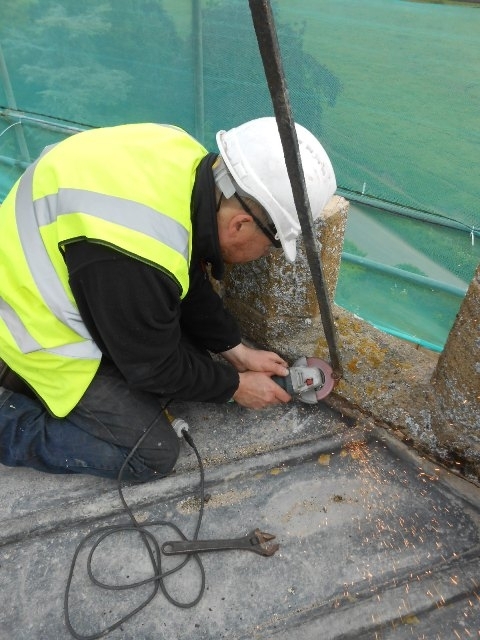 In this picture he is drifting out a punched hole in the horizontal rail from a railing sample to make it bigger. 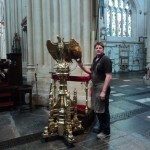 Jason commenced work here at Ironart in September 2008, and holds a B-Tech First Diploma in Art & Design from Somerset College of Art & Design. Prior to that he achieved a National B-Tech in Restoration and Blacksmithing from Herefordshire College. 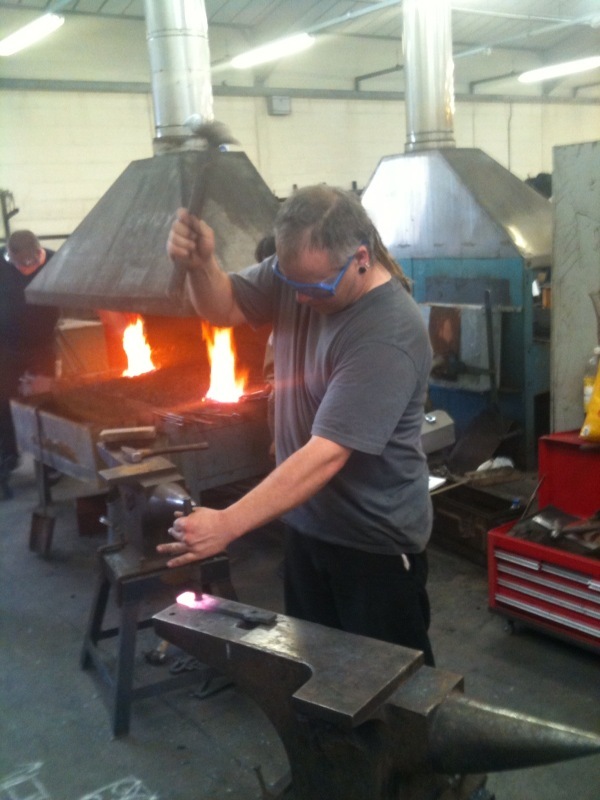 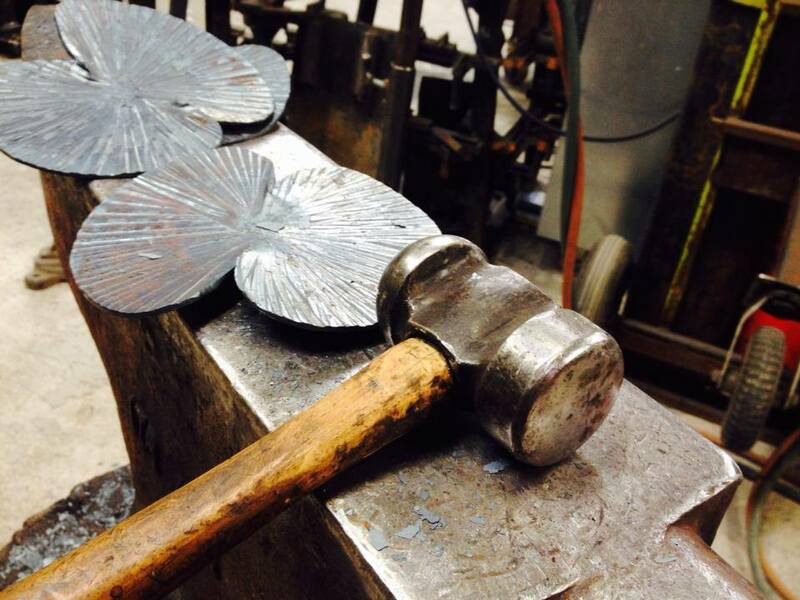 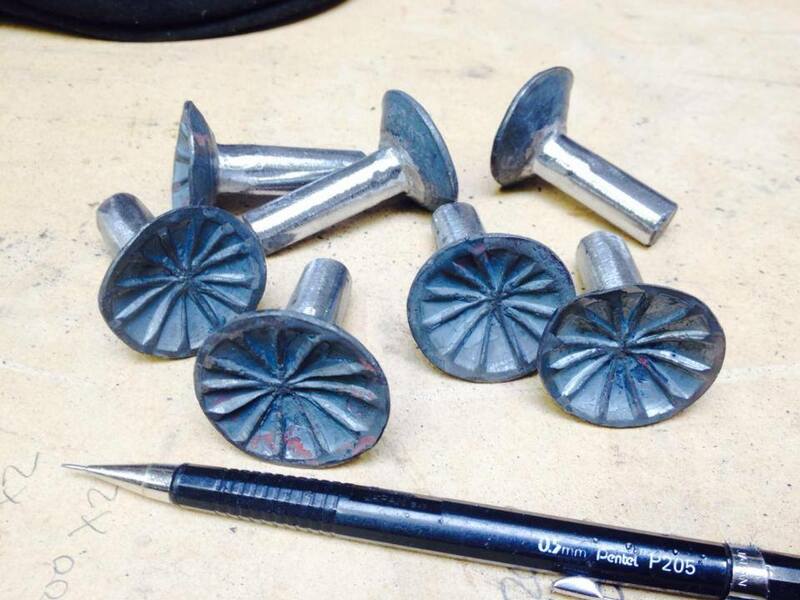 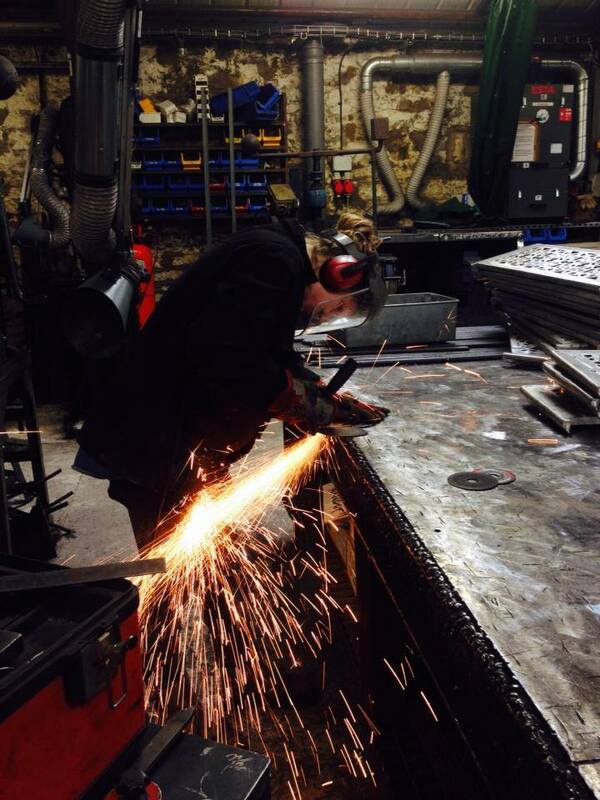 Jason is a skilled blacksmith who produces accurate and accomplished metalwork, we wish him every success with his course and look forward to sharing his newfound knowledge and skills.